Add design and décor to your home, all the while keeping your haven protected. 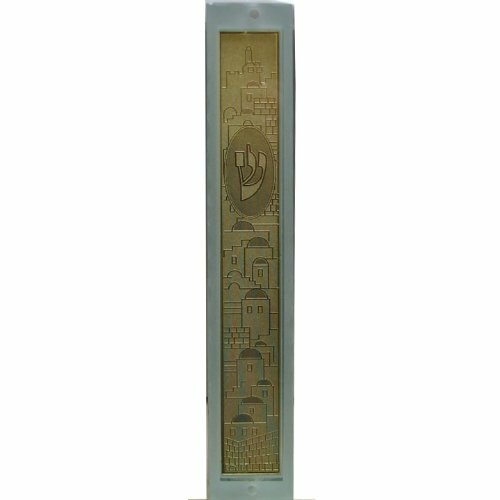 This glass mezuzah holder is a true work of art making it the ideal gift suitable for just about any Jewish special occasion. An elegant piece sure to enhance and protect your home. If you have any questions about this product by Art Judaica, contact us by completing and submitting the form below. If you are looking for a specif part number, please include it with your message.